You are always looking for ways to increase sales at your business. That might mean getting new customers. But new customers are not the only possible solution. You can—and should!—look at ways to get your existing customers to come back more often to buy more. 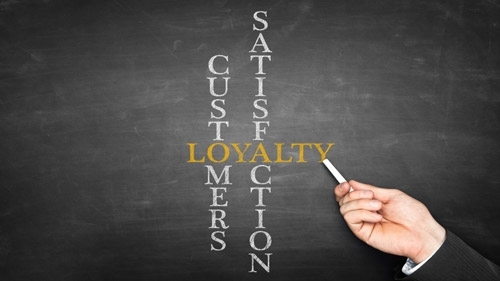 Increasing customer loyalty is a great strategy. Members of the Young Entrepreneur Council wrote about strategies for increasing customer loyalty, and they hit on some important themes. One of the best things you can do is over-deliver. Very few things will frustrate a customer more than a business that overpromises and under-delivers. On the other hand, when you promise conservatively but then beat that promise, customers are thrilled. Beating customers’ expectations will encourage them to come back to you again and again, because they know they can count on you to strive for excellence. You will go above and beyond for them, and it makes them feel special. It shows them that you care for them as individuals. We don’t believe in selling. People don’t want to be told what to do. They don’t want to be around people who are only and always selling them something. Instead of building the relationship around the sale, put the relationship at the core. Then as you build trust, the sales will come naturally. Don’t sell customers something that does not offer them value. If your product or service is not right for a customer, that’s ok. You don’t want to push somebody into doing something they don’t want to do; they are likely to come out of it feeling tricked, and that leads to bad word-of-mouth marketing. When you treat customers ethically, they will have more reason to believe and trust you when you do have something that will help them. Santa’s strategy in Miracle on 34th Street really does work! A great way to build a relationship with your customers is to provide them with information. That information both helps them by making them smarter, and it helps you by demonstrating your own expertise and knowledge. It shows that you care and that you have the skills and information to help people. That leads to Top of Mind Awareness, too: a customer might not need your product or service right now, but when they do need it, they will think of your business first because of how you have shared information. Harry Kierbow is the Customer Service and Social Media Manager for Tarkenton Companies. Before coming to Tarkenton, Harry studied psychology at the University of Georgia and worked for a small restaurant franchise. He brings this background to bear when working with customer issues or crafting social media marketing messages. Harry currently lives with his wife and child in Woodstock, GA. Follow him on LinkedIn , email him at hkierbow@tarkenton.com, or connect on Google +.